Our first fully operational Atlantic salmon RAS facility is located in Poland near Płońsk, approximately one hour drive north of Warsaw, with good connections to the rest of Europe. First harvest is expected in Q4 2018 and the facility will produce 580 tons per annum when it reaches full capacity in mid-2019. 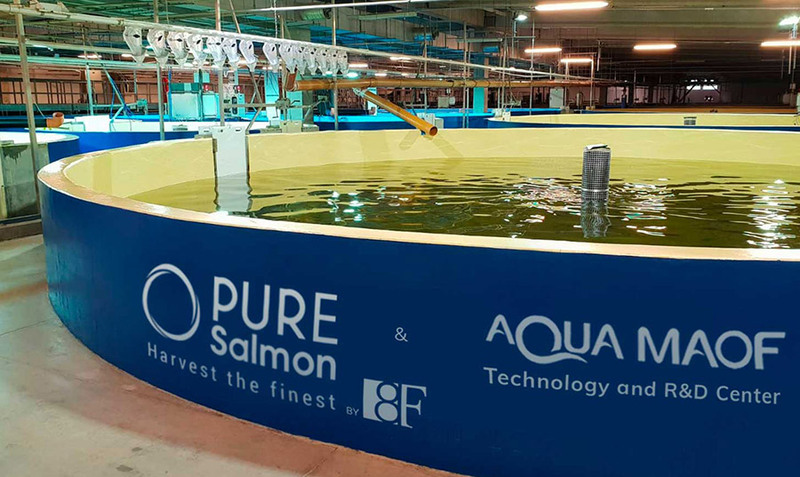 The facility is equipped with cutting-edge RAS technology from AquaMaof, Pure Salmon’s technology partner, making it one of the world’s most advanced indoor aquaculture facilities. Originally built to produce tilapia, the facility was converted in 2016 to Atlantic salmon production to capture that species’ growing market demand in Europe. While producing tilapia the facility was certified for its responsible farming practices by the Aquaculture Stewardship Council (“ASC”).The facility is now going through a similar process of ASC certification for its Atlantic salmon production. There are a total of 22 staff on the ground in Poland led by the General Manager who has been responsible for all aspects of the grow-out process and commercial management since joining in 2014. This facility is the first step in Pure Salmon’s global undertaking. It serves as a proof of concept for land-based Atlantic salmon production, and also as an R&D centre, due diligence location, tasting opportunity for buyers and investors, and the training centre for staff of Pure Salmon’s future facilities.